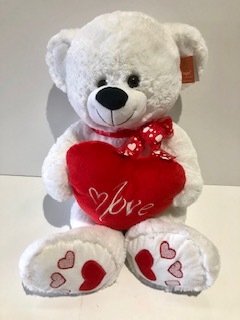 Large (50cm) Teddy Bear with a beautiful message "love". Great gift idea to express your love for someone special. Order flowers, wine and chocolates along-with the bear to mark any special occasion.